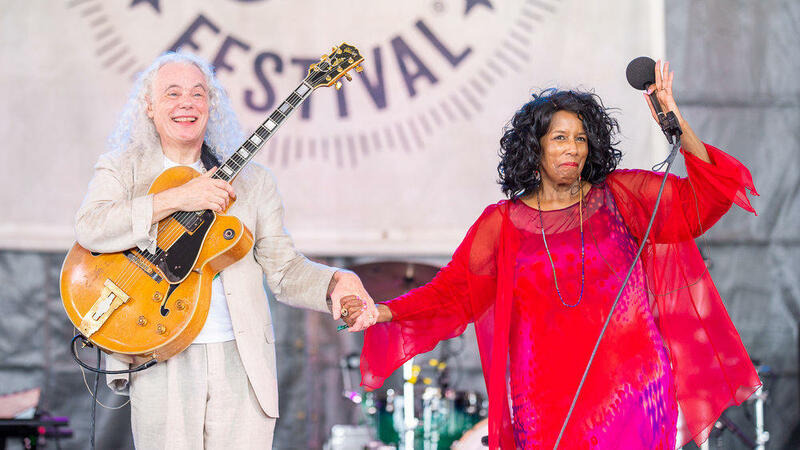 They were first up on the QUAD stage and started with a blessing for the stage as Newport Folk Festival kicked off in it's classic style with a curve ball of a jazz artist. Later that same day, their niece, St. Vincent, closed the very same stage with her aunt and uncle watching side-stage. Early in her journey, Annie Clark was a roadie for Tuck and Patti and clearly shares Tuck's guitar shredding chops. They all recently did a children's record together that Annie described as a "kids record for parents with taste." Technical Director: Josh Rosgosin; Audio Engineers: Steve Remote, Ken McGee, Jon D'Uva, David Raidman, Steve Kolakowsky; Location Recording facilities Provided by / Aura-Sonic, Ltd.; Producer: Suraya Mohamed; Photography: Adam Kissick.